Do you know what is the surest way to keep your favorite watch away from scratches? Well, it is not wearing it at all! Of course, this is a quite radical solution and we are not here to offer you advice on how to keep your watch as a souvenir on the shelves, but rather the opposite. We know, first hand, just how frustrating it may be to scratch the crystal of a valuable watch - no matter whether it is valuable because it is a gift from someone special or because it is just a very expensive high-end watch. And although some may say that a few scratches here and there may add character, we would definitely prefer looking at a well-preserved watch, even if it means ‘less character’. If you are one of those people who feel naked without a watch, and like wearing it every day, no matter the activities, then keep on reading to get some tips on how to get your watch looking like new after a few scratches. Before we jump right into the homemade remedies for a scratched watch, let’s have a closer look at the watch itself, and what it is made of. The crystal part of a watch plays a very important role in protecting the dial of the watch. Up until late 20th century, most watch crystals were acrylic, and just a few of them were made of mineral glass, while the most expensive type of crystal to this day is sapphire crystal. The advantages of the acrylic crystal are that it is very durable to wear and tear, but at the same time, it is very vulnerable to scratches. In other words, you may literally drop it as many times as you want with a minimal risk of damaging the watch, but each fall will leave a scratch or two. Up until the late 80s, most high-end brands would use acrylic, as it is affordable and rather easy to fix. Fortunately, there are plenty of homemade remedies to polish acrylic crystal, including the toothpaste method. Did you know that by 1991, the Rolex Perpetual was the last watch with an acrylic crystal? Today, all Rolex watches are made with sapphire crystal. 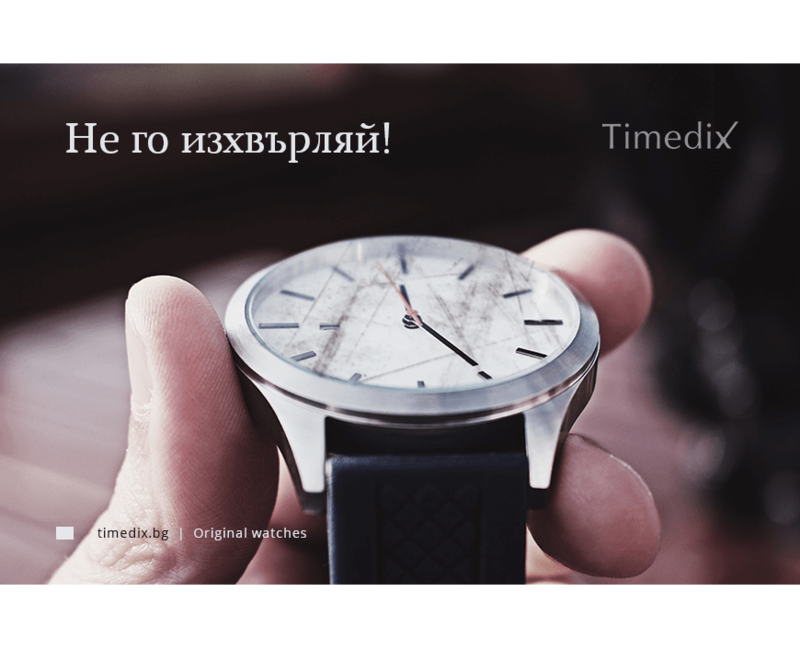 Nowadays, a lot of manufacturers have moved to mineral crystal, and although some of the less expensive watches still use acrylic, most of the mid-range watches, such as Timex and Tommy Hilfiger are made with mineral crystal. The creation process involves the melting of glass with minerals, making the material a few times harder and more durable than acrylic. It is very hard and time-consuming to remove scratches from the mineral crystal at home, and our best advice on this would be to either find a professional who can clean it for you, or replace the crystal if the scratches are too bad. There is a minimal risk of cracking a mineral crystal due to its high level of hardness, but if that happens, after all, the crack will usually be too deep for you to bother fixing it. A quick search on the internet about this will yield polarizing results with opinions of people offering you to clean mineral crystal with toothpaste and others, who wouldn’t take the risk themselves. Sapphire crystals are not typically made of natural corundum, but of a synthetic compound that has the same properties, but is much cheaper than its counterpart. This type of crystal is the most durable of the three materials. It is extremely strong and scratch resistant, making it the perfect choice for fine timepieces, such as Rolex and Tag Heuer. Hand polishing is the most popular method for removing scratches from a watch and can be used on any crystal although you might want to invest in a more expensive paste for the sapphire or mineral ones (such as a diamond paste). No matter the crystal though, the method is rather simple and you basically cannot go wrong with it. Bear in mind that for mineral and sapphire crystals, the crack should be quite shallow for the method to work. - Some kind of tape to cover the bezel with tape to avoid damaging it during polishing. - A polishing paste - most recommended ones are Polywatch, Brasso, and Displex or Dia Paste. - A soft cloth (could be microfiber, cotton or a wool rug) to work the paste with circular motions onto the scratch. It is best to go with wool ones for deeper scratches as it is more abrasive. Keep in mind that according to some watch aficionados, “polishing mineral glass is mostly just a wrist-strengthening exercise” and nothing more. If you have a watch with a stainless steel bracelet, then getting scratches on it is an inevitable part of its normal everyday use. - For fine scratches: Jeweler’s polishing cloth works best, and you can get it at any watch supplier. While this works great for polished steel, you should be extra careful with brushed steel, as you may polish it if you exert too much pressure on it. - For deeper scratches: Any good quality metal polish and a wool or microfibre cloth should do the trick. Make sure you use the polishing cream/paste only on the polished part of the watch, and the rest you may mask with tape. To keep your watch looking new, you will need to repeat this procedure every few months. The above tips are for repairing minor scratches that are not worth a visit to a professional. If the scratch is so deep that it catches your nail when running your fingers through it, it is best to replace your crystal, or look for professional help, as it may be too risky and time-consuming to do it yourself. Remember that scratches are just proof that the watch has been to places with you, and that you love wearing your watch a lot. Make sure you take care of your watch regularly and wear it with pride, and it will, in turn, be of loyal service to you for many years to come.